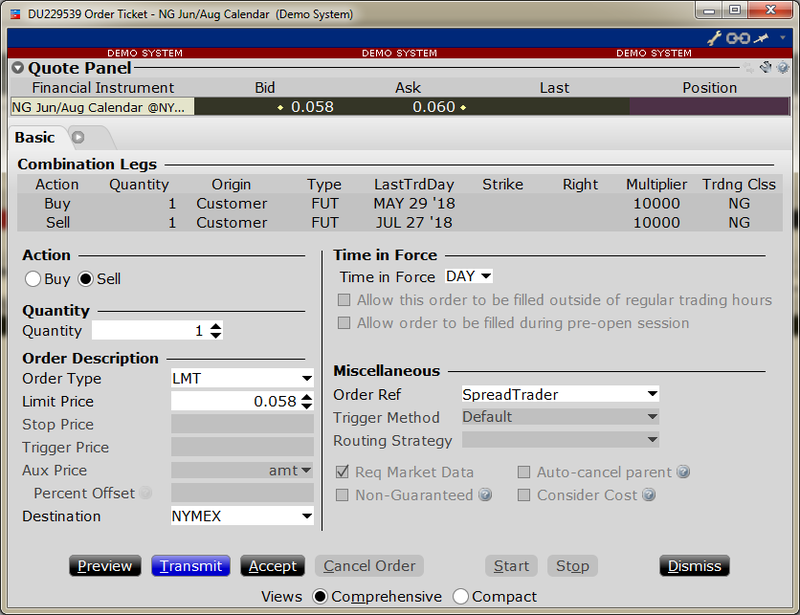 Trading futures calendar spreads is a good way to express a long or short opinion an underlying index or commodity, without the volatility and margin requirements of a fully directional naked future contract. 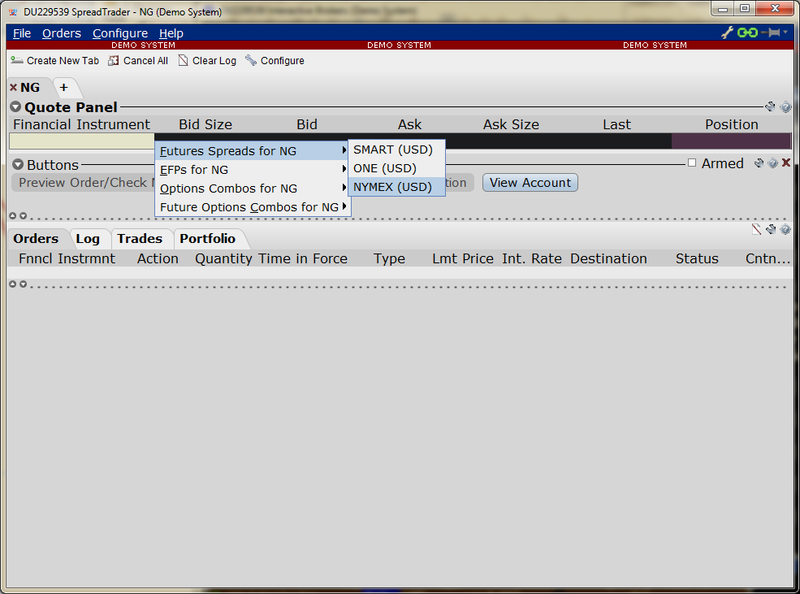 We are using Interactive Brokers (IB) to trade future calendar spreads, but many other future brokers offer this. 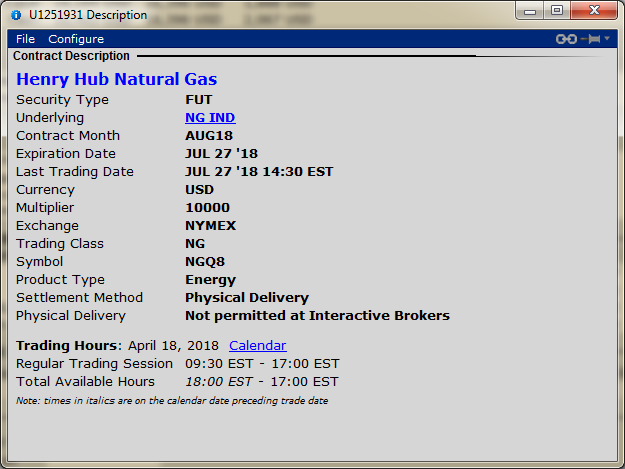 Here we can review an example Natural Gas /NG bullish calendar spread, that should benefit from a rise in the commodity price. This bull future spread means long a front month future contract, and short a back month future contract. Trade exit – means to “buy” the spread (short front month and go long back month). This is the exact logical opposite of trade entry. 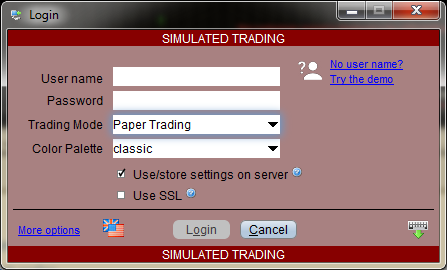 Before you place any real trades here it is highly recommended use the IB demo trading mode of Paper Trading. Click “Try the demo” link below from the IB login screen. The IB future trading interface is somewhat non intuitive and requires a reasonable learning curve to fully understand what futures positions are being represented. These are screenshots of entering the order from the demo system. Using the demo system for dummy order execution avoids accidental executions with “real” money. Please note that the market has moved so that the demo system screenshots do not match the above “real” trade entry executions – however the process to follow remains identical. This is how to select the front month and back month. Importantly can not select just one calendar spread, must select two or more spreads otherwise the “Finish” button does not appear. Click on the relevant “ask” for the calendar spread and the following order entry will appear. As we are selling, make sure the limit price starts higher than current Ask. Walk down the limit price downwards (because we are selling) by 0.001 increments on the order until you achieve a fill. This trade update was on 18th April 2018 to enter a GTC order to allow possible trade exit after the time frame for the 30 day rule has elapsed. Review the contract description and note the symbol. In this case the symbol is NGM8. Verify that the futures contract named month and actual expiration date are as expected. Review the contract description and note the symbol. In this case the symbol is NGQ8. 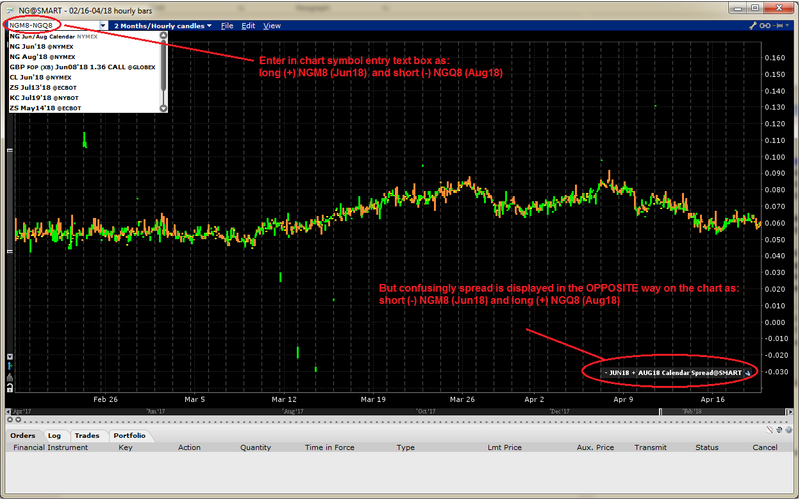 Cut and paste NGM8-NGQ8 into the chart symbol entry text box and press ENTER. 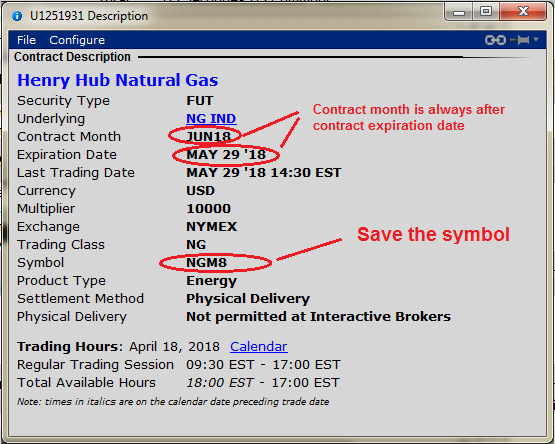 In this example NGM8 Jun 18 is the near month and NGQ8 Aug 18 is the back month. Important – note that the label shown on the chart is the exact OPPOSITE way to what was entered! 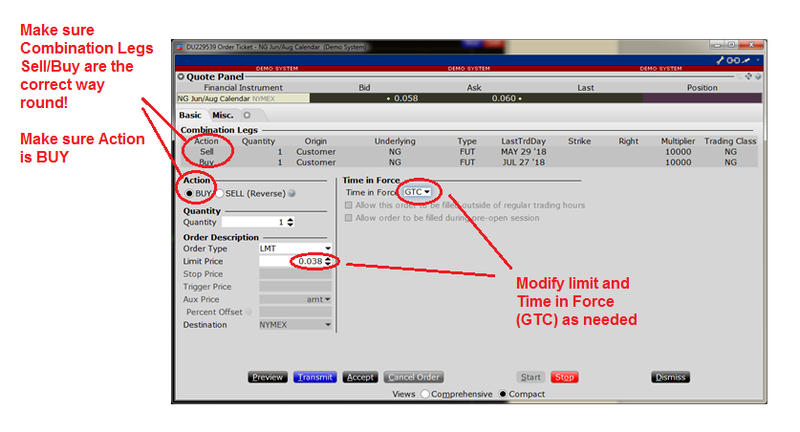 Now create limit order exit trade to Buy. Right click on the chart and select Buy and drag down the line significantly underneath the chart. Click the “T” on the order. To exit this trade need to sell the near month (that is long Jun 18 position) and buy back the far month (that is short Aug 18 position). 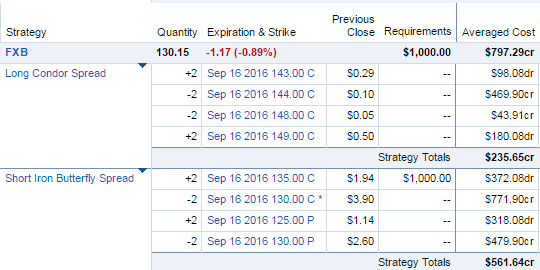 IB defines this exit trade as a Buy 1 Calendar Spread. Since we are buying, start limit order with a low limit price, so that it can be cancel and corrected (updated) multiple times to achieve a better price. In this example started at 0.038. See the screenshots below for an example order. Looking at the chart, trying to achieve the lowest price makes sense, as we wish the difference between the near month Jun 18 and far month Aug 18 to shrink not expand. This can be a good til cancelled (GTC) order that can be hung out there until a price target is achieved – historically there seems to be support at 0.040 to 0.030 range, so that could be a good starting target (but you can obviously adjust for your trading style). If you want to get an immediate fill on a trade exit today, then just cancel and correct the order in 0.001 increments until it fills. Alternatively you can leave the order out there for the trading day to see if anyone nibbles at it, then get more aggressive on closing it nearer the end of the day. In theory most futures calendar spreads are mean reverting, so we are looking for a move back towards the long term mean to capture some gain. We are not looking to make a killing on the directional trade – even though this is a “long” natural gas trade it usually a pretty slow moving spread. Additionally the spread may only go into that range for a few hours or days during its remaining trade lifecycle into end of May expiration, so we just want to grab a good price with a GTC if it’s there. Also we don’t want to hang around for the unpredictable spread volatility for the 2 weeks or so prior to expiration, so if it is still open at that time we’d probably just close when it gets too close to expiration. This trade exit on GBTC describes how exiting Bitcoin Investment Trust due to premium was decided. The original GBTC position was purchased in March 2017. To recap the GBTC is an investment trust whose price is tied to bitcoin. The historically high premium to the actual underlying bitcoin price is the main reasoning for selling our GBTC position and replacing it with bitcoin and etheruem products that can replicate similar exposure (without that premium). This trade was IRA eligible so there was no issue of paying extra capital gains by selling after 11 months (instead of waiting for 12 months for long term capital gains to kick in). 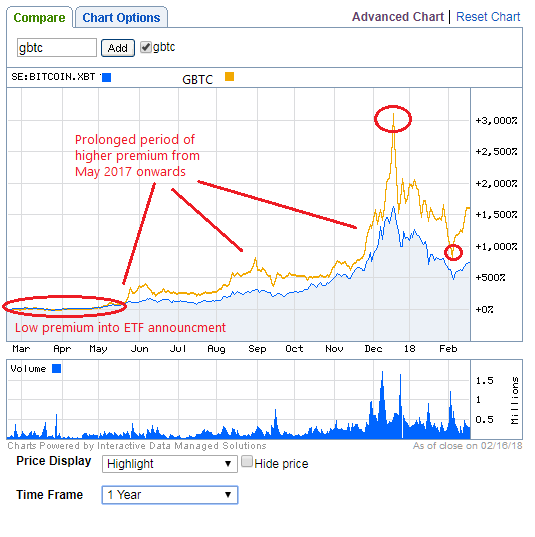 The charts below compares an European based Bitcoin fund SE:BITCOIN.XBT (as a proxy for Bitcoin spot price) with GBTC. This clearly shows that throughout 2017 people have been prepared to pay a huge premium to own bitcoin in their US based brokerage account. 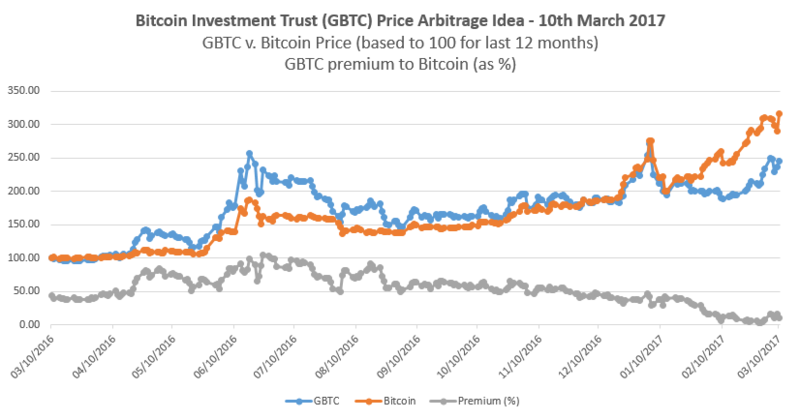 Combined with bullish Bitcoin 2017 price action and inflated premium, the GBTC price has moved up strongly. The above charts and Bloomberg show how the GBTC premium has moved for the last 12 months in a trading range of 50% to 120%. 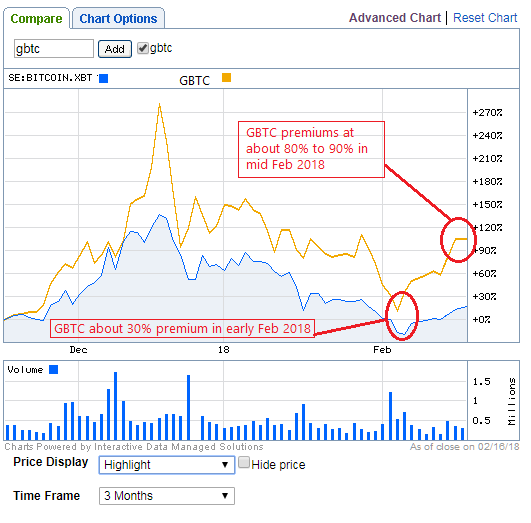 In only the last 3 months the GBTC premium has been as high as 120% in Dec 2017 and low as 30% in early Feb 2018. The premium trades aggressively higher on rallies and lower on sell offs. This behaviour has the effect of amplifying trading extremes, but increasingly makes it a less reliable buy and hold product. As a recap, when the trade was entered in March 2017 GBTC premium had shrunk down to about 8% because there was the belief that a new Winklevoss Twins bitcoin ETF was about to be allowed by SEC. Once that was announcement was negative, the GBTC premium returned with a vengeance. According to Bloomberg the average trailing 12 month GBTC premium was 53% (on 16th Feb 2017). By comparison the Bitcoin tracker fund premium was 0.08%. Additionally there is a 2.0% management fee associated with GBTC which is used to help manage the cold storage and security of the underlying bitcoin asset – so any premium paid on the actual GBTC spot price would seem to be excessive. The Bitcoin tracker fund management fee is 2.5% (higher) but since it trades at only 0.08% premium to NAV it is a relative “bargain”. On 16th Feb 2017 GBTC had a 1 year performance return of 1,574.75% that more than double the Bitcoin tracker fund 1 year return of 774.33%. This is amazing given that the stated aim of the products is identical – the GBTC out performance results are exclusively due to premium. For reference here are the Bitcoin and Ethereum products available that trade in Europe but can be traded in a US based brokerage account. These products do not have a huge premium to spot bitcoin and are IRA eligible. Bizarrely the swedish Krona product has the higher volume, over the Euro based product. All of these fund products introduce some currency risk exposure, but that is likely less to be way less variable than the GBTC premium risk. This GBTC trade was ultimately a great investment, but one that was traded frustratingly poorly. A small tranche was sold in May 2017 to cover the risk on the original position and the rest was left to run as “house money”. Clearly with hindsight that was the “wrong” thing to do, but is it good risk management on a very volatile product – and allows staying in the trade for a much longer amount of time. This risk management part was not poor trading, but the management of the resulting price action in 2017 can be improved – as discussed below. The final run up into Dec 2017 was not well traded, and therefore missed the significant peak at $39, and survived the drop to $10 in Feb 2017, so decided to exit with some value still intact at $18. This is a very hard trade to take psychologically because of the anchoring to the high point at $39. However the 1300% returns in less than a year is still amazing, yet disappointing from a trading perspective. The split adjusted entry point was $1.44 so clearly this was all “house money” but some exit trading at higher prices should have been achieved into the Dec 2017 peak. This is not purely hindsight – it was clear the short term nature of the blow off top, even during Dec 2017. This does not mean the end of the bitcoin “bubble” – just a medium term trading top that should have been taken advantage of. GBTC premium expands on rallies (up to 120% in Dec 2017) and contracts on huge sell offs (down to 30% in early Feb 2017). On trade exit at about $18 that is approximately an average 80% premium, which is somewhere in the middle of the range extremes for the last year. On trade exit with bitcoin at approximately $10k, the book value (or NAV) of GBTC was about $10, therefore there is approximately $8 of premium to nav (or about 80%). Therefore about 1800 shares of GBTC buys approximately one bitcoin, but the book value is about 1000 shares. Clearly there is a convenience premium, but 80% over book value is very high. That does not mean GBTC price cannot rise further, or the premium increase more in 2018. However if the premium ever shrinks to say 30% then it is quite possible to lose money in GBTC even if the bitcoin price goes up. When you buy GBTC at $18 about 45% of your purchase is premium (or “fluff”) over the price of the underlying bitcoin. That is a very hefty premium to spot. Trade Entry was at GBTC split adjusted $1.44 (actual pre split price at that time was $131) in March 2017 when bitcoin was approximately $1250. Trade exit was $17.96 when bitcoin was about $10025 in Feb 2018. 1. Sell 1000 shares of GBTC ($18,000 USD) and purchase $10k Bitcoin tracker fund – this maintains exactly 1 Bitcoin exposure. The remaining $8000 premium can be maintained as cash for future purchases if there is a pull back or for other investments. This maintains bitcoin only exposure. 2. Sell 1000 GBTC then purchase $10k Bitcoin tracker fund and $8k Etheruem tracker fund. This gives exactly 1 Bitcoin exposure but allows using the GBTC premium to buy a new Etheruem position. This has created a slightly more diversified crypto portfolio – but still fully invested in crypto, with no cash on hand. 3. Sell 1000 GBTC then purchase $6k Bitcoin tracker, $6 Etheruem, and keep $6k cash. This gives a less aggressive portfolio because it keeps some cash on hand in case of a pull back. 4. Sell GBTC and maintain cash to wait for a big pullback to invest. If you are a believer in the long term crypto currency bull, this is arguably the biggest opportunity risk – crypto prices are hard to predict and can be notoriously bubbly – so it having exited once at lower prices it is hard to reestablish at significantly higher prices. These reallocation strategies are all tax optimal in an IRA. There is a significant chance that if there is a bullish BTC price march in 2018 towards $20k again then GBTC will do very well. Indeed one day later BTC is already trading 10% higher at $11,000 (so clearly this is proving a badly timed exit). However there need to be discipline to recognize when that the GBTC trade now has premium risk outside of just Bitcoin spot price risk. That risk can be resolved by selling GBTC and buying bitcoin tracker funds. This is not necessarily a price extreme for bitcoin, but a potentially a premium extreme in GBTC. Still bullish on bitcoin and crypto assets for the next few years, however GBTC may not prove to be a good long term buy and hold product (due to the premium). In summary this is not purely a bitcoin play, but has become a play on the premium investors are prepared to assign for the convenience of exchange traded bitcoin product. Importantly selling GBTC is a not a bearish call on bitcoin or crypto in general, just trying to avoid being the last one out when playing musical chairs with the premium trade. This is a bitcoin investment trust premium idea from seekingalpha.com we have taken a position in last Friday. GBTC is an investment trust whose price is tied to bitcoin, with an extreme caveat that historically it has traded as sometimes astronomical premiums to the actual bitcoin price. The chart below clearly shows people have been prepared to pay a huge premium to own bitcoin in their brokerage account. The chart is not easily available online. It had to be created manually by downloading the time series for GBTC prices and bitcoin prices, then working out the “premium other NAV” between them. When this was done both the GBTC & bitcoin prices were indexed back to 100, and the “premium over NAV” was plotted on the same Excel chart. Note that each individual GBTC share represents 0.09336483 of a Bitcoin (BTC) – so that ratio need to be accounted for when calculating the premium. - This premium has trended lower in last 2 months in anticipation of new Winklevoss bitcoin ETF (COIN) getting SEC approval. - Historical 30% premium to bitcoin price is restored, because there is no longer a viable pending Bitcoin ETF that would compete with GBTC. - GBTC has applied to be listed on the NYSEARCA which is pending a decision by Oct 2017. It currently trades on OCTBB and if it moves off the bulletin board this should improve product liquidity and investor access. 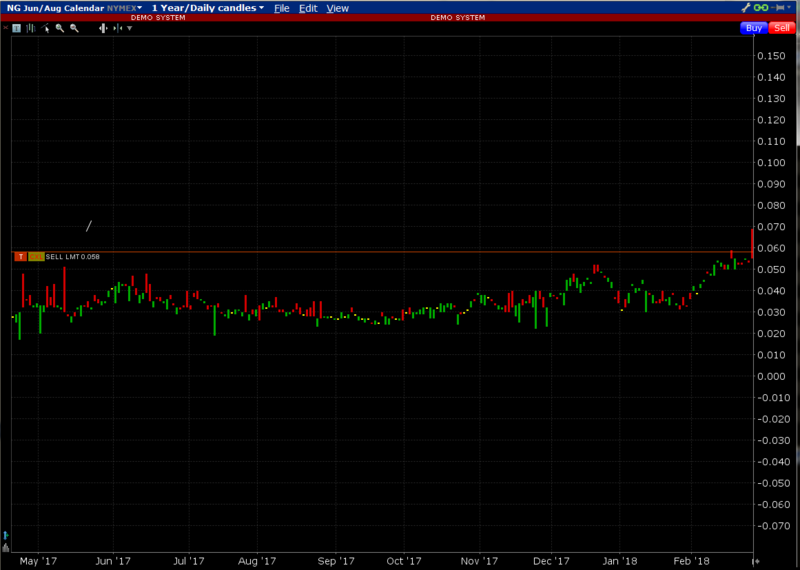 GBTC premium might trend up in anticipation of this a few months out from the announcement (something to watch). Trade Entry was at GBTC $131 on Friday when bitcoin was approximately $1250. Trade exit would be when a the premium is restored to typical range greater than 30% – but we have to wait 30 days to exit due to 30 day rule. Is lending crypto currency safe? Excitingly it is now possible to lend out your Monero and other crypto currencies to other investors. Crypto currency lending is a bit like peer to peer lending for crypto, but the lending purpose is exclusively for other customers margin requirements (so not diversified). Lending crypto currency needs to be done via a crypto currency exchange where your currency is loaned to other exchange customers so that they can establish short or margin long crypto currency trading positions. This article chiefly considers lending out Monero (XMR), but the principal applies to any other crypto currency that allows exchange lending. As an investor annual rates of return on any individual loan have ranged from 3% to over 100%. The rates on exchanges are typically quoted in daily returns, so a daily rate of 0.009% is approximately 3% – you can easily use any online calculators to convert any daily rate to an annual rate. An example annual to daily interest rate calculator is here (no affiliation). We use Poloneix for lending, and find it gives good liquidity and relatively simple trading interface and order book. There are other platforms like Bitfinex but haven’t used them for lending. 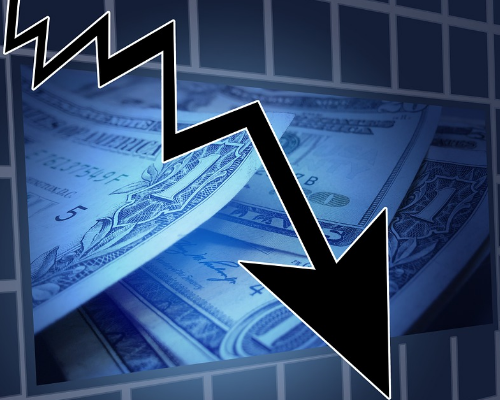 The main issue with exchange lending is it assumes that the exchanges algorithm for exiting customers out of their margined positions will not result in major loss. Essentially when lending on the exchange, your xmr is loaned to other exchange customers so that they can establish short or margin long positions. As usual for margin trading the exchange requires some capital level to be maintained in a customers exchange account, for the duration of their short or margin trade. If the crypto currency market moves against the customers positions and they no longer have the margin capital required to maintain their position, then the position will be exited by the exchange. This will likely be at a sizable customer loss. The theory is that the exchange has modeled the maximum likely amount capital required across ALL customers to meet an extreme move. In theory the crazy moves should occur rarely and the exchange should be able to control any loses by forcing customers to liquidate their positions in real time. Basically they can take out multiple customers over their margin limit, but in theory not all customers at the same time should be affected (in theory!). However in practice these huge moves tend to happen more frequently than the statistics would predict. 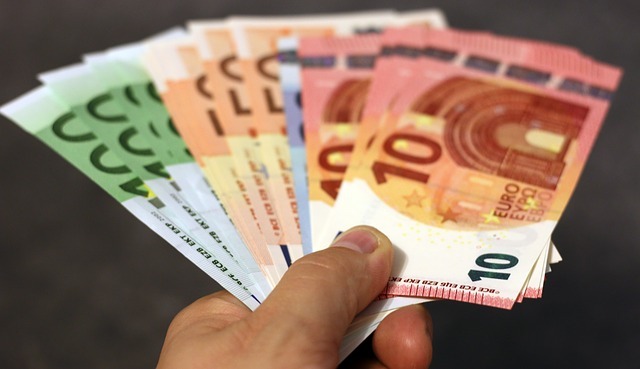 A good recent real life example is when the Swiss franc move meant several foreign exchange (FX) trading firms had to eat a few million of customer losses. This was in the FX currency market, but the principal could easily apply to crypto currency lending. Therefore you are depending on your exchange to have well executed customer margin requirements and forced trading position liquidation strategy. Exchange lending and indeed storing any crypto currency on any exchange is subject to platform risk. That is the risk that the actual exchange platform fails and you lose some or all of your crypto currency balance. This could occur through hacking of poor exchange security or even an issue with the particular crypto protocol that can be exploited. Basically there is a slight possibility that your coin on an exchange just disappears overnight. You can obviously reduce hacking risk on your individual account by using website security features like two factor authentication. However that doesn’t guard against back door hacking exploits at the exchange level. You should probably keep no more than 20% of your entire stash with one website, and even possibly budget for 20% of it disappearing every 3 years! For example, storage solutions for monero are to maintain a cold storage (off exchange wallet) under your control. That requires significant technical know how to setup, but is likely worth it to maintain your stash securely. If you don’t think that exchange default can happen look at the historical hacks on mtgox Bitcoin (March 2014) and bitfinex (August 2016). - partial loss: Bitfinex distributed the losses against all customer balances irrespective of cash or coin. The Bitfinex partial loss example has an interesting piece of moral hazard. Note that even though only Bitcoins got hacked, ALL the OTHER coin balances on your reduced by 36% and were replaced with an exchange IOU! Essentially you were exposed to Bitcoin security flaws even if you had zero Bitcoin balance – which seems somewhat logically unfair. The point is that you could be exposed to balance loss for any coin on an exchange – even you did not think you were. The non bitcoin crypto lending market is typically less than 2 years old for most coins. Lending crypto currency on any exchange may mean that there may technology glitches (eg unable to liquidate as required) or lack of volume (eg not able to lend out all the currency you wish to, because there are not enough people to lend to). However we have tried this though and have been able to lend out several thousand XMR for about a week relatively easily. The % return is potentially good for the risk, typically earning about 5% to 15% annualised on average – even if you have some loans in the 15% to 100% range – typically it is hard to get an entire portfolio allocated at those interest rates. This also all assumes a relatively low default rate which may not be true for people trading crypto currency on margin in the long term (only have a few months of real data to work from). It maybe long term profitable as well, but given that that there are no statistics yet on this market, it is hard to make accurate projections. However if using US equity lending as an example, most brokerages seem happy to lend to you at about 6%, so assuming the underwriting model for margin accounts is similar, then this could offer decent long term returns. This approach is also somewhat similar to peer to peer lending (eg prosper and lendingclub), so could offer similar returns, but is probably a level up on the risk spectrum (above say junk bonds). Bear in mind that any defaults that occur could be long term expensive, because you lose out on the long term price appreciation potential of your currency of choice – it would be disappointing if you lost half your coin stash on lending, only to see your chosen coin price rise into the clouds in the following months. In summary, it is worth a look as an idea, but there is significant “very bad event” risk for any crypto currency exchange platform that is hard to quantify. It would almost definitely not be prudent lending out your entire monero stash, in case in does not perform as expected. However investing about 5% to 25% of your monero stash in margin lending can give you “pseudo dividend” on an investment which otherwise doesn’t yield anything – but you might wish to spread your lending over multiple exchanges. Protecting Foreign Real Estate against FX rate moves is important if you own overseas property. Get long some oil using the commodity currency Canadian dollar (CAD) as proxy. This works because crude oil and CAD are positively correlated. Get some relatively cheap real estate in a different country, to diversify away from a high cost US area where we live. Our home currency is US dollars (USD) and the properties will be run in Canada with all local Canadian dollar (CAD) income and expenses. The plan is to take a commercial mortgage in Canadian dollars (CAD) across two houses at 50% Loan To Value (LTV). From a US dollar (USD) perspective this is essentially long / short CAD in almost equal amounts, where the house equity is “long” Canadian dollars and the mortgage is short Canadian dollars. Obviously this still has all the usual real estate risk locally, such as local economy downturn, vacancy periods, high maintenance expenses (etc). This assume that both property will be cash flow positive (they will) and because we have a local property manager, they essentially run themselves. Again here we made sure both properties are initially cash flow positive so should be able to hold long term – we are have given enough margin of safety with 50% equity that we can safely (hopefully) assume that should not be forced to sell even if local property prices were to significantly decline. There are no planned foreign exchange (FX) conversions planned in the day to day running of the Canadian properties. In summary the 2 properties would be exactly 50% long 50% short CAD (house equity/mortgage) with built in equity cash flow (the rent minus expenses). Below we can see that there are a few risks to owning foreign properties. We will focus mostly on FX risk for this discussion, but it is worth highlighting the others below. FX risk. With our 2 properties if the CAD USD FX rate declines so much, we would have a paper loss in USD due to the original equity we have in the properties – even if all other factors like local house prices and monthly operations are constant. Local real estate risk. The local economy could have a significant downturn, we could have issues with vacancy periods, property may require higher than estimated maintenance expenses. These are the standard real estate risks, just that they need to managed remotely by our property manager. 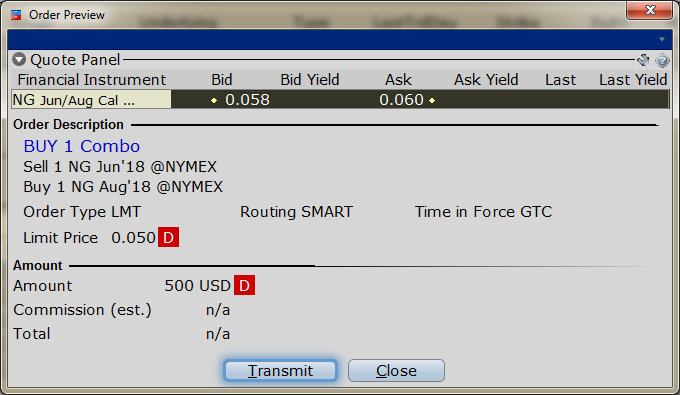 Pay Bid/ask spread on any FX transactions. Every time money is sent to Canada we have to pay the bid/ask spread on FX conversion. We use a currency dealer who gives decent spreads (approx 0.7%), which is not great, but significantly better than main street banks. Local company regulations to run a real estate company. There are initial company setup fees, annual province (state) filing fees to maintain a Canadian holding company to own the real estate. Need to maintain a Canadian based accountant who is familiar with Canadian tax law. There is an annual cost of holding real estate in a Canadian entity, however these pro-rota into annual property expenses and are covered by the rental income. The company does not require extra money to be added annually to cover these costs. However this require effort to ensure compliance with regulatory, legal and tax obligations for owning property in Canada – however the because it being held in full Canadian based entity paying Canadian taxes crucially . Most importantly no tax is withheld on rental income because the company is considered a Canadian resident – so there are benefits to doing the extra paperwork. Bankruptcy risk on company operations. The cash flow is not sufficient to maintain operations and/or a unforeseen event occurs that makes your real estate business operations not viable. However because this was setup inside a company structure, then this limited only to the real estate itself, not your personal finances. Sovereign country risk in Canada. Economic issues such as lower oil prices or a recession could make real estate prices decline or make it find to locate well qualified local renters. This is the same in any real estate investment, however the Canada economy is typically more tuned to commodity cycles than the US economy. Current central bank strategy between are different US and Canada – where US Federal Reserve is raising rates, while Bank of Canada is holding rates. Canada was also in a technical recession for last 2 quarters (but has lifted in latest quarter) – USA has been steady so is currently relatively more attractive. However the Nova Scotia economy is separated from the larger cities of Vancouver/Toronto/Calgary – it will be impacted by economic cycles but traditionally they don’t tend to have huge commodity boom/bust cycles. CAD is commodity funding currency, so about 80% correlated to moves in Oil. Oil prices have moved down from $110 to $40 ish. Importantly it is worth noting that currencies are also relative not absolute – even with a recession, if Canada does “better” than USA then its currency could rise versus USD. CAD USD FX Rate is not as correlated with standard equity markets, more commodities, but it has a full service based economy (essentially tied to the US economy) and its not Brazil (e.g. not just taking a punt on an emerging market currency just as a commodity play). There are some differences between Canada and US mortgage markets for primary residences and rental properties. Mortgage interest is not deductible on primary residence for an individual in Canada (as distinct from US where it is), however mortgage interest is deductible on rental properties. Although there is no capital gains tax (or gains limit) on primary residence. Given that, some Canadians do rent their primary residence and buy rental property, rather than necessarily buy own home. Essentially this can be a viable option because of the tax code. Long term renting where you live (and buying rental property investment with the spare cash) could make more sense. Whereas in the US, the tax code is massively skewed to buying your primary residence. Plus most Canadians banks keep mortgage loans on their books – that is they don’t securitise or resell loans straight away to other banks like they have in US. Therefore a Canadian bank is highly motivated to make sure their own underwriting is effective, because they could be carrying the loan for up to 25 years (which explains why big bank lending can be relatively cautious). This explains the relative historical stability of the Canadian housing market. The differences between the US and Canadian mortgage market explain some of the slightly more cautious lending practices, but frankly that makes it more attractive as an investment. Canadian mortgage market is actually slightly different to the US market, but in a good way for investments. We found commercial mortgage underwriting standards very strict, maximum they would do was 65% LTV (and they were still debating that..). Other banks would do higher LTV, but they require a significant financial deposit or savings to be with the bank before the loan would be advanced (sometimes up to 50% of actual loan size was required to be on deposit!). Local credit unions had more flexible terms underwriting terms than the big banks. Now let us have a look at the historical moves of USD CAD FX rate to see what risk we are actually taking on. We will look at historically what was the largest FX move where Cad strengths (moves against you) on an annual basis in percent terms. For example the total percent depreciation was -24% in last 5 years (% move where start date is T-5 years and end date is today). However that is not typical and is a significant down move, however that is why the the investment opportunity exists. Below is historically what what were annual USD CAD FX moves in percent terms since early 1990s. These have been calculated from a spreadsheet that uses average monthly prices (for each month) from Jan to Jan – it is not 1st Jan to 31st Dec – but they give an indication of expected historical annual moves. In the following table a positive percent means USD weakens against CAD (investment makes money). A negative move means USD strengthens against CAD (investment loses money). Based on this you can see that there were typically price movements in the annual range of -10% to 10% volatility, however the last 3 years have been double digit declines every year (which is unusual). This section will look at USD CAD FX rate scenarios where it stays the same, goes up or goes down (think we covered every possible angle in the investment world there!). Stays the same or goes up. If the CAD stays the same or appreciates we would probably just hold. If it appreciates very significantly it might be worth send back any cash flow in appreciated CAD into depreciating USD. This return of cash flow would act as a psuedo annual dividend. Ultimately in several years if there is significant FX rate appreciation it could be worth just selling one or both properties and converting it back to USD. It is completely possible you might make limited local real estate gains but significant FX gains due to FX rate appreciation. Importantly FX gains are not taxable, but obviously you have pay local Canadian taxes on any capital gains. The mortgage will be a greater debt in USD so you would not want to use USD to pay down the mortgage, just use local CAD cash flow for that. Goes down. If the CAD depreciated further the total real estate investment starts to lose money mark to market in USD. This is probably not a problem in local CAD currency to manage monthly operations, however it is still a mark to market loss that we might wish to reduce. Additionally with a significant move of say 10% or more we would consider paying down some mortgage principal (in CAD) with strategic annual USD to CAD transfers (as the rate is in our favour). Since a major risk to our investment is if the FX rate declines, in the next section we will look at some possible strategies to help manage that scenario. These strategies will be to pay down the mortgage or hedge the FX rate. The main question we have to ask is, do we technically even need to hedge with a 50% / 50% split of mortgage / equity all based in CAD currency? The mortgage is in CAD and we are amortized principal payments in CAD. So on one hand we are long 50% in CAD exposure due to the real estate value (at 50% LTV). But on the other hand if you are taking a loan in CAD, you are short 50% CAD because you benefit from the USD strengthening. The exact 50% / 50% split of an asset in CAD vs liability in CAD, gives a built in natural hedge. Also if we are going to hedge how aggressively should it be done ? There is a fair amount of equity (long CAD) position in the real estate, however as an investor it is better to take a view and hedge less. There is no value in hedging away all the risk to invalidate the actual investment idea. It is possible to use /6C Canadian dollar futures put options to “disaster hedge” the FX rate. We are already holding a 5% OTM put 6 months or 1 year out for contracts of /6C, hedging at about a 0.25 delta on average. These are then rolled up or down after a few months as necessary as the FX rate moves. Additionally it is then possible to sell OTM call spreads against FX rate for income, to slightly offset the cost every month. If FX rate declined 10% would probably recycle that money into CAD mortgage and re-hedge. As long as keep long term OTM hedges in place this can be relatively cheap less than 1.5% a year of total investment – and that assumes zero gains from short call spreads which is not likely if rate declined. 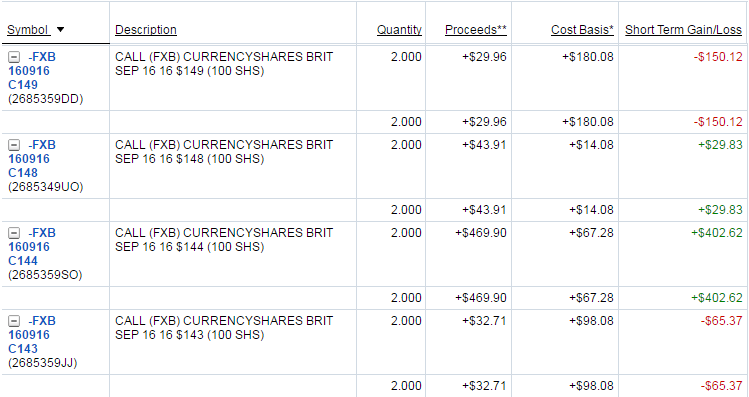 This is managed in a trading account along with other spreads (eg Long gold, short oil etc). Ideally it would just lose a small amount of money each year (which other spread can make up for) which is what happened so far this year. Fundamentally we would see this real estate investment as a married put strategy (long 2 houses in CAD, with long contracts on /6C futures put) on a dividend paying stock (small monthly rental cash flow profit plus paying down mortgage). If rate went down 20% in a year you would lose money mark to market, but it would probably lose only say max 5% to 10% in a year (depending on option rolls). This assumes no other variables change, and assuming no gains from overlay trades and ignoring mortgage paid down which is about 1.25% of principal risked in first year. But point is that now the investment is not undefined FX risk. Any profit on hedges could either kept as cash or Fx back over to pay mortgage. The issues are that it costs some money to hedge, but we are used to managing it as a trading account anyway. Leverage on those options is very good in a rate crash scenario. 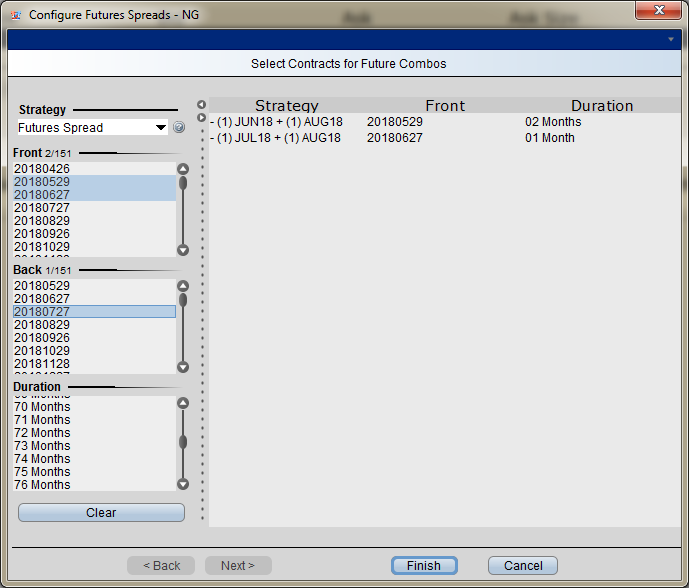 There are also cheaper / limited risk reward ways to keep short delta eg put calendar and ATM call spreads. As long as the “disaster hedge” with the 3 contract /6C put is always in place (in case the floor falls out again) should be ok. For example, when FX rate crashed in Jan 2016 that put option made significant USD dollar amount. Hedges are based in a USD trading account. Ultimately in several years time you have 2 houses and lower mortgage principal, so over time your FX risk (CAD principal) increases so might have to increase hedging size later on. If rate goes down 10% against CAD, the mortgage can be paid back with more valuable USD dollars. Any significant mortgage principal reductions early in the lifetime of a mortgage can have reduce the ultimate pay back time. Therefore it would seem sensible to do a small principal payment (say between 1% to 10%) each year to reduce the mortgage if the FX rate is consistently in your favour. However don’t want to pay down too much of mortgage, because you are increasing your long exposure to CAD each time you do that. Effectively you might be removing your hedge against a depreciating currency when you might need it most. Even if the CAD currency is beaten up due to a lower oil price, Nova Scotia is a relatively diversified local economy on multiple sectors (not heavily oil related like some western Canada economies). Historically steady not commodity boom and bust (even in 2009). Also real estate is reasonably priced even in local currency, and it’s a buyers market there. Don’t need to make a killing in local landlord market, just need to keep lights on. Worse case mortgage is paid back in 25 years (typically commercial mortgage length in Canada) not 30 years like US residential mortgage. Plus ultimately own 2 houses at the end of the investment, which should more than match any FX move. We decide to hedge, but keep it light. Hedging is an art no right or wrong answer. Since basically we were looking to diversify a bit from USD, want to get long some oil (via CAD) and own local real estate it is a good transaction. We only hedged approximately half our exposure, so if there is a strong oil rally you win on the original investment idea, and don’t lose too much hedging. Also if the FX rate moves significantly against us then the hedging will help and we could pay down the mortgage more. There is “no free lunch” (is there ever?) but the risks can be managed, and a significant move in the FX rate in either direction can still hopefully be managed to our advantage. We can use Futures Options to enter a bullish oil trade using Crude Oil /CL Bull Call Spread – this gives a slightly bullish bias in oil. The Bull Call Spread is a limited risk reward trade with typically a one to one risk reward. The specific trade was entered on 29th July with $41 / $42 bull call spread when Crude Oil /CL was around $41.5 – essentially attempting to exactly middle the spread around the current price, but still defining the amount of risk to take. 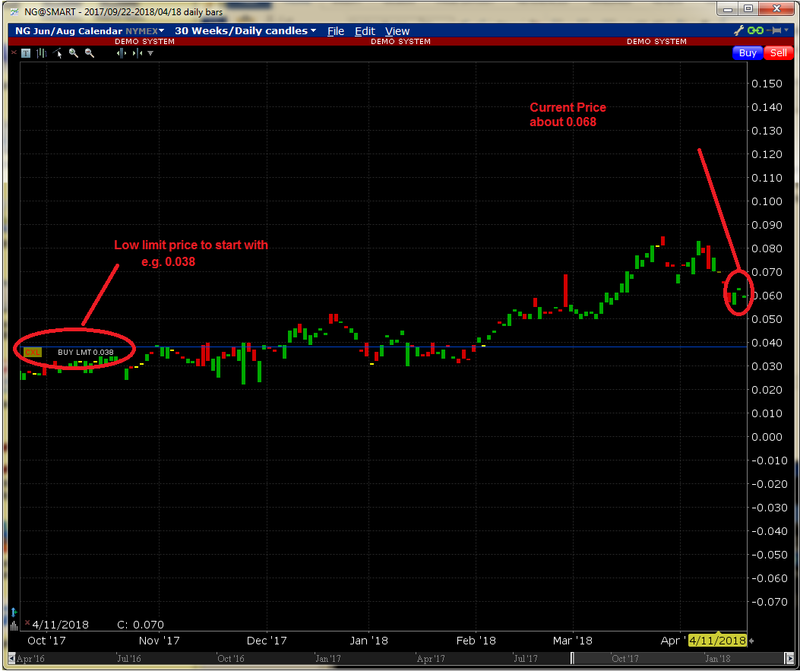 The trade cost $5.4, simply $540 per Crude Oil /CL contract. At expiration it could be exited for a max amount of $10 ($460 gain) or expire worthless for $0 ($540 loss). This was slightly worse than our typical 50/50 bet (about a 46/54 bet!) but it was close enough to get the trade executed, without having to wait too long for the market to position itself exactly in between the strikes. Looking at our portfolio, we also have on a post Brexit short CAD call spread that was acting as a nice counter balance to this trade. The Canadian Dollar /6C and Crude Oil /CL prices are positively correlated, meaning most of the time if oil prices go up, then Canadian Dollar would also rally. On 26th August /CL closed at $47.29 which is about $5.29 (12.6%!) over our max profit strike, which is very likely to realise the maximum profit of $460 if held all the way to expiration. The current open unrealised profit is $350. The blue rectangles on the Crude Oil /CL option chain below highlight the $41 and $42 strike options that make up the trade. The red circles highlight the strike and delta for the $42 call. This shows that the $42 call has about a 76 delta which meant that it had about a 76% chance of the spread being in the money by expiration (and making the maximum profit). However the 30 day rule period will be up on Monday 29th August, therefore we set the limit profit order to trigger at $400 profit or $9.5 limit (which is 85% of max profit). We would like $400 out of the trade, so we have to set the limit $0.1 higher to allow for commissions. With no commissions $400 profit would be $9.4, but including commissions it is $9.5. Technically there is $60 extra to make in this trade by holding all the way to expiration, but that would be about $940 risk to make $60 over 20 days into expiration so probably worth just closing it. It could be left to expire for next 20 days, but according to the option market there is a still a 25% chance that oil crashes to our higher $42 strike by expiration – so it is safer to exit on Monday for most of the profit and not have to worry about it. In summary we made almost the full profit available in this trade, and exited as soon as possible after the 30 day rule allowed, but still let the market trigger the limit order for us to get the target $400 – this was a solid 74% profit on capital risked (profit $400 / risk capital $540 = 0.74). Monero XMR – Trading Update needs to be given this week, specifically because the market has recently moved massively upwards since the latest trading update in March 2016. Please note that due to market volatility it is quite hard to capture consistent pricing for screenshots – so any prices given or calculations done using those price are only indicative (but they should still be approximately correct). Since most people probably have not heard of it this is a quick overview – Monero is an alternative currency (sometimes referred to as “coins”) with the most well-known being Bitcoin. In the last 2 years there have been many such coins created for a diversity of purposes. These new “coins” are the brave new world for cryptographic currency (“cryptocurrency”, or even “crypto”), but are still in the early adoption phase. One of the main selling points of Monero is that it can mathematically provable as truly anonymous, unlike Bitcoin with can be traced via the Block Chain. It is one of the foremost alternative crypto currencies that has actually survived long enough to potentially become a replacement for the well known Bitcoin (BTC). For some more background you can review our original investment from last year. The following chart shows the price swings for Monero since inception, priced in Bitcoin BTC. This highlights the mini price bubbles on inception, in Mar 2015, Mar 2016 and most recently in Aug 2016. You can track the real time Monero XMR to Bitcoin BTC price here. This price move appears to be a significant move on large volume, therefore worthy of a trading update. Monero XMR is going up because of fundamentally wider adaption in other market places, which means that it will get used as currency of choice by more people who want crypto currency. Specifically this move has been driven by news that leading dark net market will start supporting Monero. The assumption is it will win the war to be adopted as the primary crypto currency, potentially ultimately replacing bitcoin (but that is several years out). Don’t know if move is sustainable in short term, but it’s based somewhat on fundamentals, not just a speculative pump (with no reason) which sometimes happens with these coins. The following chart zooms in to show the significant volume move year to date up to August 2016. From a low of 0.00105 BTC to a high of 0.00938 BTC, with a current trading price of about 0.00735 BTC on 22nd August 2016. In the last week Monero has traded approximately 65,000 BTC on poloniex. Assumming the average Bitcoin price of $576, that is approximately $37.4 million USD. Importantly all the Monero charts shown above are valued in Bitcoin BTC. The Monero Bitcoin XMR BTC exchange rate is more reliant on the value of bitcoin itself. So if you liquidate any Monero using the XMR BTC price you then obviously end up holding Bitcoin, which can obviously have it’s own price volatility (and is a competitor for Monero). For example if positive Bitcoin related news caused the Bitcoin price to rise faster, the XMR BTC will go down even though nothing may have fundamentally changed with Monero. Therefore looking at the Monero XMR exchange to USD dollar can be a better independent value indicator because it doesn’t depend on value of bitcoin. There is a USDT coin that literally stands for “US Dollar Tether” which is a coin representation of USD cash. As the following chart shows Monero XMR to USDT (USD dollar) price is at all time highs in USD, similar to Monero XMR Bitcoin BTC price. However Monero has always mostly trended upwards in USDT (US dollars), without the Bitcoin related swings. Liquidating Monero XMR into USDT means you are attempting to replicate “cash”, but importantly without having to convert back to physical US dollars. That is if you hold USDT it attempts to represent the equivalent in USD cash in your local bank account, but actually as a coin so you can trade to buy other coin. This is useful because there are increasing regulations about adding usd to coin related investment, and if you are already in the coin eco system this is a good way to “go to cash” with out actually exiting into real US dollars. Haven’t done enough research to understand USDT long term stability – and its definitely NOT FDIC insured like a bank account! However presumably it is safe enough for a few weeks while you plot your next investment move (or move it to physical USD). However be careful with USDT liquidity if moving from XMR on poloniex, the order book (scroll down search for “Sell orders” section) may only support a few hundred XMR at a time so don’t try and liquidate a huge position without small test orders first. In the spirit of full disclosure, our current position is approximately 0.1% of all outstanding Monero so we are definitely “long”. However that has been held from more than a year. The aim is for a buy and hold investment though and we very rarely trade the core position (for example, have made no sales for more than a year). We could exit or scale back significantly if something materially affected the Monero marketplace, however we are more likely to add on weakness not sell. The cost basis of the investment is relatively low, so we are not actively trading day to day. Typically the price drifts along, but then takes off faster than you can react, as per this recent month’s rally – so our investment option is that the ability to time trades around the position is not as important to actually have a position. We have no plans to sell any Monero yet, but if the price went exponentially higher we would sell to cover our original cost basis. However if you are a true believer in cryptocurrency for a long term medium of exchange you’d never sell any this cheap anyway. If you are interested in learning more we have written an eBook Better than Bitcoin – A Beginners Guide to investing in Monero. Gold Futures – Trade Exit on 15th Aug 2016. We can use Futures Options to go through Bull Call Spread example. We originally entered a gold Bull Call Spread with a slight bullish bias in Gold, but mostly just to get some trades on. The Bull Call Spread is a limited risk reward trade with typically a one to one risk reward. Typically we would pick the options on futures that expire 45 to 60 days out. This gives plenty of time for the trade to move in the expected direction. This means that you don’t have to monitor the trade too closely throughout its lifetime, with is important with a 30 day rule. However even if the trade is totally wrong, then can likely salvage a bit of value to either exit, or re-establish in the next monthly cycle. e.g. if the trade was placed for $500, it might only be worth $250. At that point could sell the whole spread, then do the same trade at the same strikes for the following month – this simply allows time in the trade if you still like the trade idea. The specific trade was entered on 14th July with $1325 / $1335 bull call spread when /GC was around $1330 – essentially attempting to exactly middle the spread around the current price, but still defining the amount of risk to take. The trade cost $5, simply $500 per /GC contract. At expiration it could be exited for a max amount of $10 ($500 gain) or expire worthless for $0 ($500 loss). On 15th August /GC was about $1345 which is about $10 (0.75%) over our max profit strike, which is not a lot distance for the several days remaining in the trade. The trade had a profit of about $200 out of a maximum of $500, but clearly was only slightly out of money so that could be erased with a swift down move. However on investigating the delta of $1335 call gave about 63 delta which meant that it had about a 63% chance of making money by expiration. However we also know the probability of a touch at a higher strike is much higher than the probability of finishing at a particular strike at expiration. To define that another way – although this was currently looking like a marginal trade, there was still a high probability of exiting with a 50% of max profit ($250 profit target out of a maximum $500) between now and expiration. 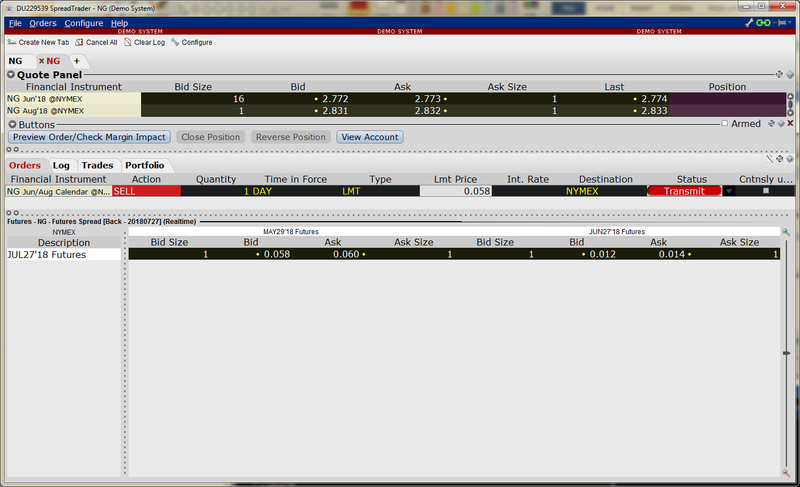 There we set the limit profit order to trigger at $250 profit or $7.6 limit. Technically this would be $7.5 limit, but we set an extra $0.1 on the limit price (or $10 value) higher over our profit target to allow for commissions. The commissions on this trade are 2.31 for each option leg for entry and exit, which is $9.24, which is over time this adds up, so moving the limit by $0.1 covers those commissions nicely. We then went to sleep, and luckily in the morning the limit had been filled due to a nice rally. In summary there was more profit available in this trade that ultimately we didn’t take, however we did make a solid 50% profit on capital risked. Also the trade reversed recently in the last week, meaning that if we had held on into expiration we would know be looking at -$200 loser (using today’s prices). The difference between taking the $250 or waiting for the -$200 loser is $450, so that is a significant swing for the trade size. Therefore taking the profit on the profit target was the right decision, and consistently taking profits on the winners helps balance out any future losing trades. We are getting better about not being disappointed with not making the “maximum” each time, and now we try simply moving on to the next trade. The pound has been relatively flat for a month after the initial Brexit trauma, so we are considering a “Brexit exit” on our existing iron condor. Currently the iron condor is in the middle of it’s range, as the FXB is at $129 and the mid point of our iron condor is $130. 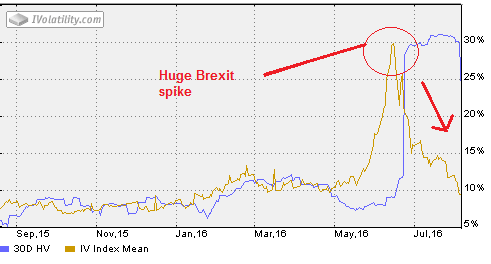 Volatility has contracted from 30% on the brexit announcement to around 15% and trending lower towards the original pre brexit range of 8% to 10% implied volatility. Given that our continued assumption is bearish on the pound, it makes sense to exit the iron condor before it sells off any further. Also the implied volatility contraction from a peak of 30% down to about 15% makes it more attractive to buy back the short option premium. From our previous post the original trade was an iron condor at $149/$144/$130/$125 was placed on 16th June (pre brexit). Iron condor was adjusted on 27th June (FXB adjustment is in section “Brexit trading update – Monday”) by adding bull call spread $148/$143 and short call spread $135/$130. The $130/$135 short out spread was slightly ITM giving the trade a slightly bullish deltas, and since our assumption is still bearish we are ok to close out the entire trade for a profit. Given that FXB moved more than 15% after brexit, this is definitely a good result. We could leave on the short call spread $130/$135 to keep short position on the table. However we are trying to more disciplined with our trading approach of “on as a package” and “off as a package” for option strategies. Adjustments to strategies in mid trade are ok, but fundamentally it is cleaner to exit and entry all option legs together. This ATM spread that had been already adjusted on with a short call spread vertical $130/$135, was taken off for a loss of -$73. The call spread structure at $140 level is mostly worthless now. The generated a $216 profit and can be easily bought back for $50. It probably would be more logically to let the whole thing expire worthless because it’s way out of the money now, but in the interests of housekeeping we will exit now (on the same day the other side is exited). You could easily back an argument for doing nothing with this side of it, but we don’t have the patience to wait 40 days for it to expire to make only $50. All option legs of the entire OTM spread including the long call spread adjustment at $148/$149 was taken off for a gain of $216. In summary entire trade was exited for a $144 ($216 – $72) total profit across all options legs, but only with $200 at risk after each trade adjustment was applied (so it was a very safe trade). Without a trade adjustment this would have been a $36 winner, however with the potential max risk of approx $600. So in this case the adjustments ultimately made more money due to selling premium and importantly lower the overall max risk on the trade. This shows how in a volatile trading environment adjusting spread by selling premium, can both reduce risk and manage trade profitability. 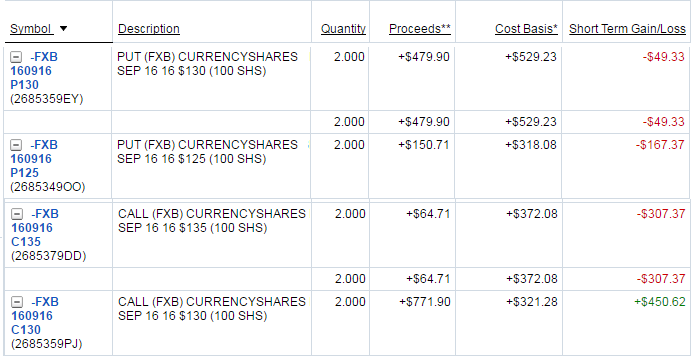 This was only a small profit, but it does show how to manage an option trade successfully even with a 30 day rule.